I'm sure there is a reason the middle digit in the Buddy odometer is red. But I don't see the logic there. Yep, confusing. That red digit comes up every thousand miles. If memory serves me right, I was told it’s there as a reminder for thousand mile increments of/for service. 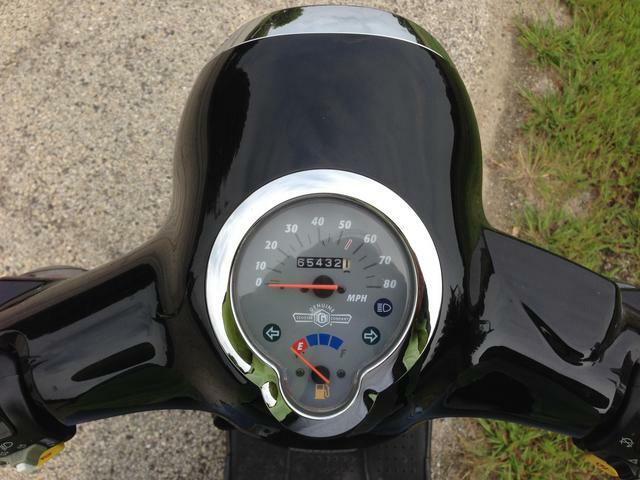 When the scooter was first designed it’s spedo/odo was in kilometres that would tell you you had to do your first service ~600 miles = 1000 kilometres. I actually like that red digit coming up every thousand, it reminds me of the *smiles* I’ve had. I’ve seen it 27 times. Red digit is a reminder to change your oil. Nah, this isn't the red light that comes on for oil change and or service reminder. This is on the odometer miles driven cluster that is always from day one a red color compared to the others being white, on a black background. 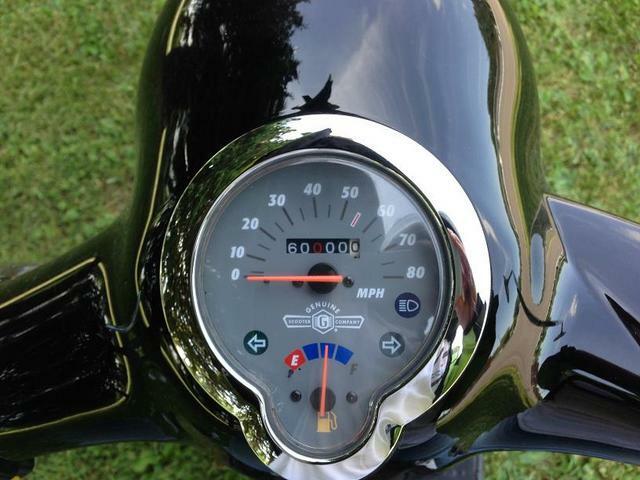 It's the digit that is the 100 mile indicator.....it's red, the others are white. The red digit is the 0 in the hundred place, but only the 0 is red the other numbers are white. The red 0 shows up every 1,000 miles. It is a reminder that it is time to do some maintenance. Or I have a couple pictures that show the red 0. You can see that the 4 is white in the following picture. Correct, which you should only be seeing every 1k miles. When it rolls back around to 1k, 2k, 3k, that 0 will show up in red. When it does, change your oil. 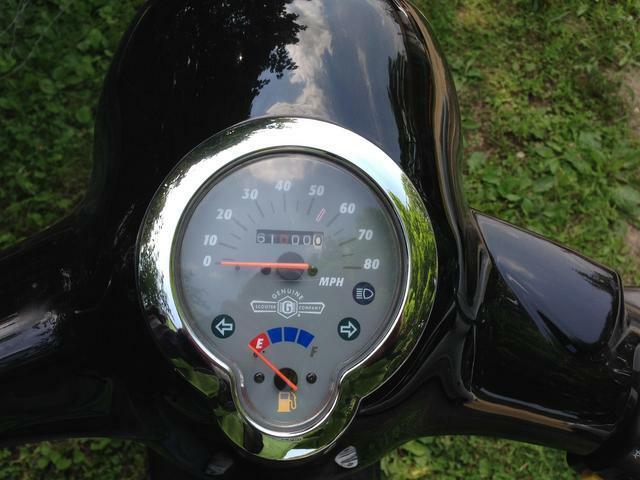 My 2019 Buddy 125 had the middle digit in red at time of delivery and the manual says to change engine oil at 1800 mile intervals, rather than 1,000 mile intervals. My manual on page 15 only discusses how to use the ignition key positions. On page 17 it shows a different cluster referencing a red lamp that should come on at oil change intervals. That cluster is for a different model than the current Buddy 125 though. For the 170i model (not my model) discussed on page 18 I see now a reference to change oil ASAP when the hundred digital (quote from the manual) becomes red. Will see when that comes around again. My manual also shows the 170i to use a C7RHSA spark plug on page 34, then on page 41 says to use a C7HSA spark plug for the 170i. Probably either a resistor or a non resistor plug is OK though. My manual also says to use a 100/90-10 tire size but it came with 3.50-10 size. It can with the rotational arrows correct though. Seems the current manual is a little loose on things but I can understand how that can happen. Having just gone through replacing my (original) tires, I can confirm: these tires are very similar and can fit on the same rim. The metric size is probably the default for the vast majority of PGO's market. Changing the oil every 1,000 miles is a bit obsessive despite the manual. Many go 1,500 to 2,500 miles between changes and have had no problems. I'm not recommending you do that, but ASAP every 1,000 is an exaggerated expediency.